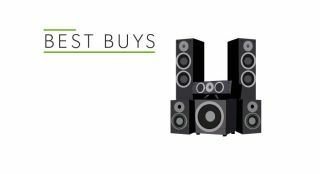 Best speaker packages 2018 - 5.1, Dolby Atmos | What Hi-Fi? It might mean rearranging the furniture. It might mean moving to a bigger house. But if you want the full home cinema experience, a surround sound speaker package is the only way to go. Whether you're watching all-out action-fests or beard-stroking foreign art films, a 5.1 (or Dolby Atmos) speaker system will enhance your experience no end. You can spend anywhere from a few hundred pounds to thousands - so how do you know which system is right for you? By checking our list below, that's how. All of these get the What Hi-Fi? seal of approval, so you're guaranteed a great sonic experience. Prices range from under £500 to a sizeable £10k. Wharfedale proves you can get movie magic on a small scale with the delightful DX-2. It's compact, stylish and sounds entertaining too. Q Acoustics' 3010i bookshelf speakers form the basis of this excellent speaker package. It's a beautifully-balanced system with an expressive centre channel and a clear, musical presentation. The Silver 200s prove every bit as likeable in a surround sound package as they are in stereo. This isn't just a fun and endearing 7.1 Atmos package at a budget price, it's a practical size too. A set-up so good, we're using it as our new reference surround package. This system continues PMC's tradition for rhythmic intelligence, punch and drive and will hold your attention right up to the final credits.